This is my trusty wok. I bought it from an oriental shop in London’s Chinatown in 1984 and it cost me £3. 30 years later and I still use it on a regular basis. 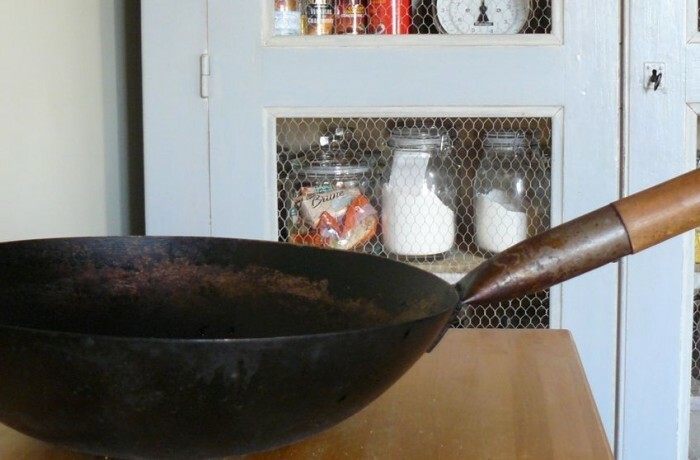 It has that lovely deep brown patina that takes years to develop and gives it a non-stick surface. Sometimes the little things in life give so much pleasure. Do you have something in the kitchen that is dear to you?